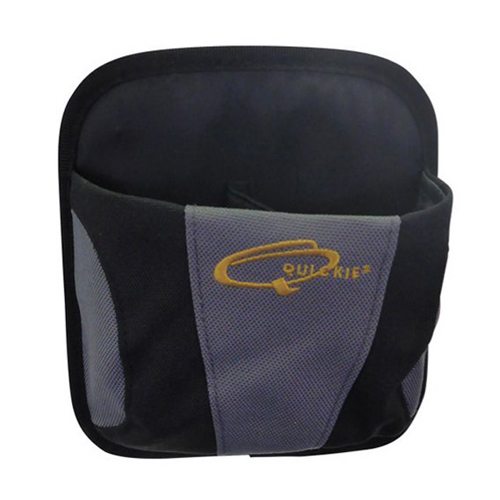 The Quickie Wheelchair Side Pocket is the perfect companion for any wheelchair user not only outdoors but even indoors. It comes with fantastic features that make it easy to modify and organize both your small and not so small personal items. Keep reading to find out why the Quickie Wheelchair Side Pocket is a must have. The side pocket comes in a sleek modern design that will fit perfectly on any wheelchair. In addition to the above, it fits many standard wheelchairs. It also has a unique triple Velcro design that allows you to attach it on your wheelchair with ease. It is designed to hold every small item and all items you need to reach like your smart phone and keys. It has plenty of storage space and is durable. The side pocket is created to work great on most wheelchair models. You can easily access the front side of the wheelchair frame with the Quickie Wheelchair Side Pocket. It is easy to reach it attaches easily right at your caster. The side pocket is flexible and will not leave scratches one you transfer it. It is weatherproof, does not fade in the sun and you only need to wipe it and you are good to go. It is sturdy and the Velcro straps help you to adjust it on any wheelchair you may have. The items are exposed to the elements since there are no retaining straps. The side pocket, however, has a divider in the middle that will help a little. You can find this amazing side pocket at Sportaid at the best price in the market. And that is not all; you will also get to experience equally priceless customer care service from their fantastic ready-to-help staff. Keep your phone within reach all of the time while using wheelchair.